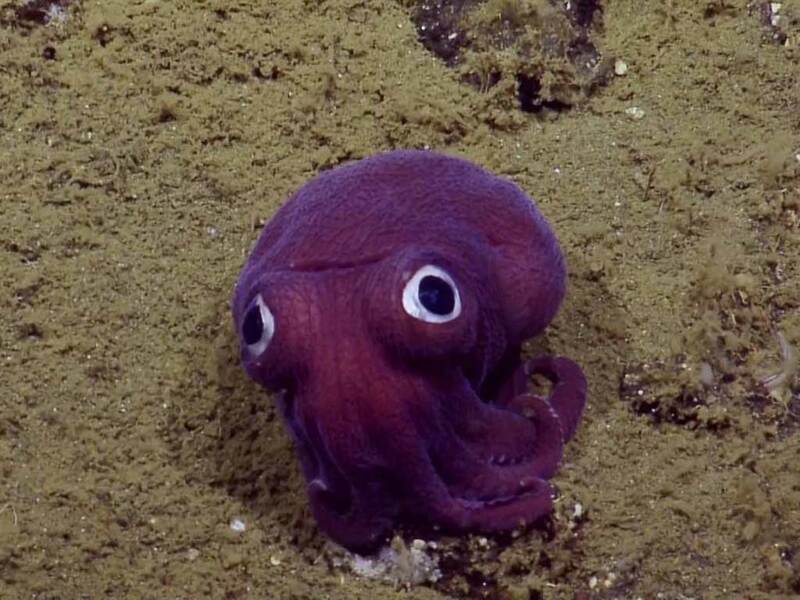 A research vessel exploring the ocean off the California coast recently captured footage of a “googly-eyed” Stubby squid. The video was shot by a team from the E/V Nautilus, which uses a remotely operated underwater vehicle to explore the ocean floor. As the vessel approaches the cephalopod, the team can be heard trying to determine at first whether it is an octopus or cuttlefish. As the ROV got closer to the creature, the team’s attention quickly shifted to its unusual-looking eyes. “They look like googly eyes. It looks so fake!” one woman exclaims in the video. “It’s like some little kid dropped their toy.” Two others in the video comment that the eyes look as though they were painted on. The team later determined the cephalopod was a Stubby squid, also known as Rossia pacifica, which is closely related to cuttlefish. The species spends life on the seafloor, activating a sticky mucus jacket and burrowing into the sediment to camouflage, leaving their eyes poking out to spot prey like shrimp and small fish. 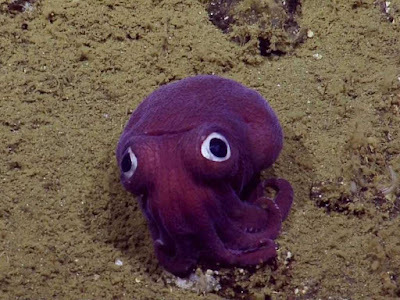 Stubby squid live in the Northern Pacific between Japan and Southern California, and are usually spotted at a depth of about 300 metres, though sightings have occurred at much lower depths. The one in the video was located 900 metres below the ocean surface. "Zoidberg! What are you doing at the bottom of the ocean?!"